Prepare and Enrich is a tool that was designed by Dr. David Olsen to help evaluate the health of a couple’s relationship. This tool can be used for premarital and marriage relationships. It is something that a counselor would administer and facilitate for the couple, allowing them to see what is happening behind the scenes in their relationship. It gives deeper insight to the counselor as to how they can help. I have used this tool for years in my counseling office and I love the way it helps couples find a clearer path to a healthier relationship. When counseling arises in a marriage, it can be hard to know where to even begin to work it out. This resource from Family Life lays out 6 great steps for resolving conflict. Handouts can be so helpful when counseling a couple. These worksheets can be taught in a session or given as homework. 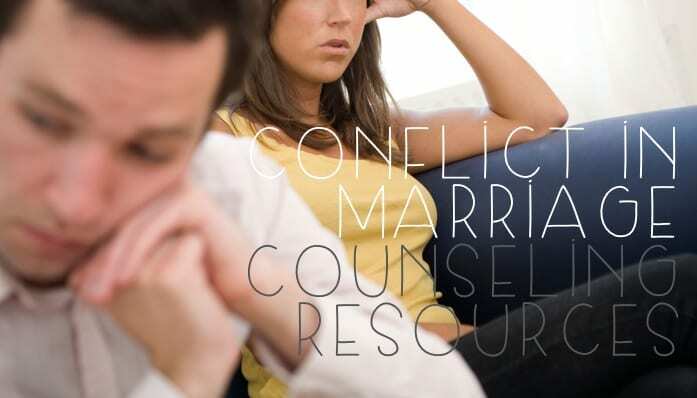 This site lists over 20 links to downloadable forms that can be given to couples or used in counseling to help with communication or conflict resolution. I have found that many men do not know how to how or initiate a deep conversation with their wife. This is true for some women with their husband as well. One of the greatest ways I can help as a counselor is it to teach them how to ask meaningful questions. This page contains a list of 100 questions that can be asked of a spouse to engage great conversation. This is a great page of many handouts and worksheets that can be used for counseling marriages. Many of these are from outside resources such as John Gottman and The Blessing with John Trent. I am always in need of great resources for marriage counseling and this page is a wealth of resources! Guide Doc is a site dedicated to sharing best practices with healthcare and mental health professionals. There are many great resources on this site and this article is specific to provide 6 exercises that could be helpful for a couple to increase communication with marriage. These can be done on their own or with the counselor. This site also included a “Marriage Counseling Doc: How to Avoid Divorce” that has some other great resources within it. Conflict can be hard to sort through in a counseling office filled with hostility. In this video, a counselor demonstrates how he would teach a couple to take a time out when facing a hard decision or disagreement. This could be helpful for the counselor or could be played for the counselee as homework in-between sessions. Focus on the Family has been a trusted resource for many people for several decades. This page does a good job of laying out 7 steps that can be used when resolving conflict. The counselor could teach this or it could be a great resource to have the counselee read on his or her own and come back and discuss in the counseling office. Family Life has compiled a list of national organization that can help people with conflict resolution. All of the contact information is listed for each organization, including a description of theory and services. This would be great if a pastor or counselor need to refer out for greater or more specific help with a couple. This page is a compilation of various articles from many different practicing counselors and pastors on the topic of conflict resolution. The different exercises, viewpoints and helps within this list can provide the breadth of expertise needed to help a couple with this topic in 5 sessions or less.